“Though the earth and all inferior creatures are common to all men, yet every man has a property in his own person. This nobody has any right to but himself. The labor of his body, and the work of his hands, are properly his.” (John Locke, Second Treatise of Civil Government, 1689). When Locke wanted to talk about possessions—land, chattels, jewelry, cash—he used the term “estates.” He also devised the famous “labor theory of value” where, in the state of nature, one came to possess something by mixing one’s own labor with it. In the course of social development, the invention of money as a medium of exchange allowed for a greater accumulation of property and a more developed economy. “Every thing to which a man may attach a value and have a right (i. e. life and liberty); and which leaves to everyone else the like advantage…. A man has a property in his opinions and the free communication of them. He has a property of peculiar value in his religious opinions, and in the profession and practice dictated by them. He has a property very dear to him in the safety and liberty of his person. He has an equal property in the free use of his faculties and free choice of objects on which to employ them. In a word, as a man is said to have a right to his property, he may be equally said to have a property in his rights” (James Madison, “Property,” 1792). In a word, as a man is said to have a right to his property, he may be equally said to have a property in his rights” (James Madison, “Property,” 1792). After the Americans won their independence from Britain in 1783, economic troubles arose under the weak government of the Articles of Confederation. That government had no power to promote American commerce, or to protect it against interference from foreign powers or actions of the states. Foreign governments discriminated against American commerce, and the states discriminated against each other. The self-regarding state governments also engaged in many kinds of discriminatory acts among their own citizens—what would be called “class legislation” or “rent-seeking” in present-day economics. The most commonly-cited abuse was the enactment of paper-money laws, which forced creditors to accept money that was less valuable than they had lent. The Constitution was meant to protect these property rights—our talents, beliefs, opinions, as well as our estates—which came from Nature and Nature’s God. In a free and just society, we would all have the liberty to use our property for ourselves, our families, and our communities. Material reward would be the product of one’s labor and virtuous behavior—the habits of temperance, frugality, industry, as Benjamin Franklin described in his famous autobiography, sometimes called the “bourgeois virtues.” Conversely, those who used their property to indulge in vicious behavior would probably lose it. The Founders also understood that, since talents were distributed unequally, social and economic inequality would result even in—or especially in—a fair and just society. Madison said in the Federalist No. 10 that “the diversity in the faculties [or abilities] of men, from which the rights of property originate, is an insuperable obstacle to a uniformity of interests” (James Madison, Federalist No. 10, 1787). As a result, diverse interests are inevitable in republican governments. The remedy is not to make one uniform interest that would stifle liberty, but rather to use the diversity of interests to protect liberty. 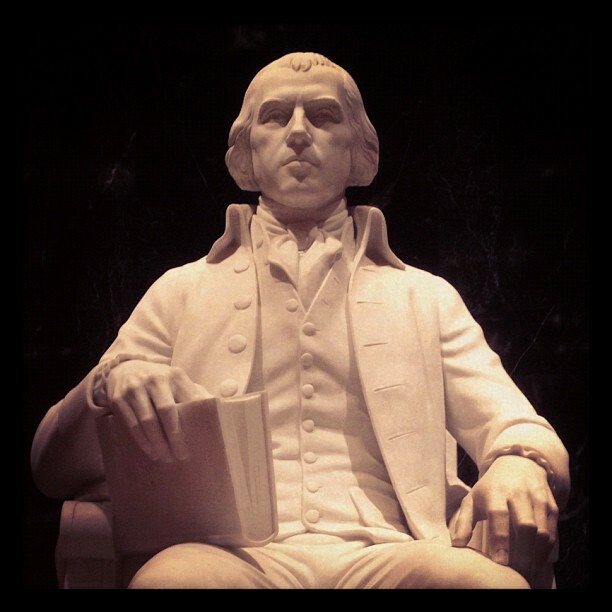 Thus Madison reasoned that a large republic would be more conducive to liberty than small ones, by extending the number of diverse faculties and interests in society. Since “the protection of these [unequal] faculties is the first object of government,” Madison discussed the various ways by which the proposed Constitution would help prevent such destructive factionalism, of the kind that the Founders had seen in most of the states in the 1780s—the paper money laws especially. In Federalist No. 10, Madison explained how one element of the Constitution, the “extended republic,” would help to prevent the tyranny of a majority faction. “A rage for paper money, for an abolition of debts, for an equal division of property, or for any other improper or wicked project, will be less apt to pervade the whole body of the Union than a particular member of it; in the same proportion as such a malady is more likely to taint a particular county or district, than an entire state” (James Madison, Federalist No. 10, 1787). Other features of the Constitution—the separation of powers, checks and balances, federalism, the enumeration of legislative powers, and an independent judiciary—would also help. Several particular provisions of the Constitution addressed economic justice. The unjust project of issuing paper money, by which debtors repaid their creditors in money less valuable than they had borrowed, was forbidden to the states in Article I, Section 10. 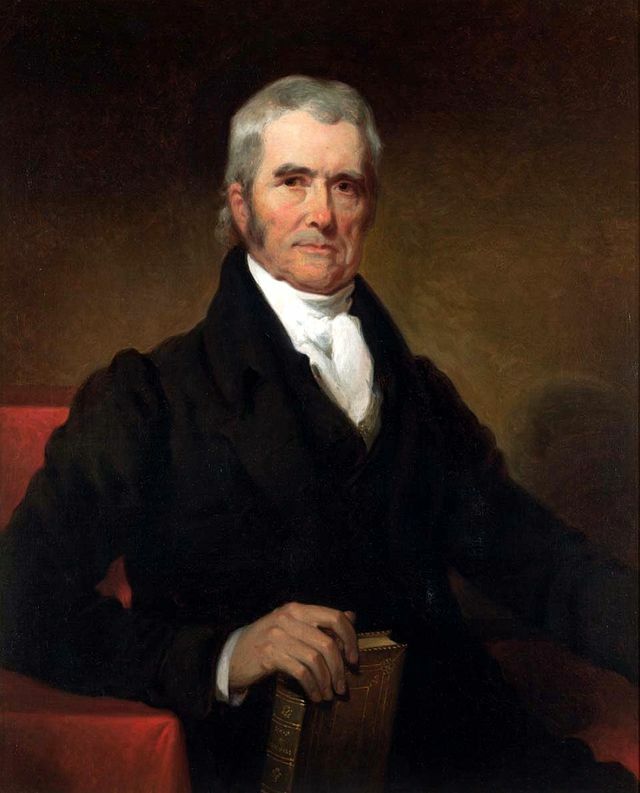 Most important, states were forbidden to pass laws “impairing the obligation of contracts.” The Supreme Court under John Marshall, who served as Chief Justice from 1803 to 1835, was especially vigorous in using the Contract Clause of the Constitution (cannot impair contracts) to prevent state legislation that threatened property rights in a way that Marshall said “destroyed the confidence of man in man” and made it riskier to lend or invest. This section of the Constitution acted—when the Bill of Rights applied only to the federal government—like “a bill of rights for the people in each state,” Marshall wrote in the case Fletcher v. Peck (1810). The Constitution also gave the national government important economic powers. It had the power to borrow and tax without relying on the states, and the power “to regulate Commerce with foreign Nations, and among the several States, and with the Indian Tribes.” It was also empowered “to promote the Progress of Science and useful Arts, by securing for limited Times to Authors and Inventors the exclusive Right to their respective Writings and Discoveries.” In addition to the specific powers that the Constitution gave to Congress, it permitted it to enact “all laws which shall be necessary and proper for carrying into Execution the foregoing Powers, and all other Powers vested by this Constitution in the Government of the United States, or in any Department or Officer thereof.” Perhaps most important of all, it established a separate, independent judiciary which would be more apt to protect property rights than the frequently-elected legislatures had been.